Stone River expands their training catalog to include courses to help IT professionals take advantage of rapid growth opportunities in the healthcare technology sector. Chicago, IL — 4Medapproved, the leading provider of online education and certification resources on topics relating to Health Information Technology, announced today the launch of a new training distribution partnership with Stone River E-Learning. This new affiliation will facilitate the introduction of 4Medapproved to Stone Rivers’ online learning population and alumni audience of technology professionals. Healthcare Technology is a rapid growth industry, with increasing demand for IT professionals who understand digital technology and the unique needs of healthcare clients and environments. One of the core tenants of the 4MedPlus mission, is the integration of Health IT and traditional technology communities to assist in the digitizing of healthcare. As our population ages and as health insurance becomes more readily available, healthcare will be in even higher demand. Rapid adoption of health information technology will facilitate better data collection and improve patient care. 4Medapproved training is delivered online and self-paced, allowing students the freedom to start and stop as needed to accommodate busy schedules. This complimentary model is why the relationship with Stone River makes sense and will likely provide a seamless learning experience for those in IT who wish to assist the medical community with their technology needs. Stone River strives to provide the best learning experience possible through fast and effective customer service and top quality content, all at a price that is affordable to everyone. Stone River delivers 24 hour a day access to learning content so students may learn on their own time, at their own pace. 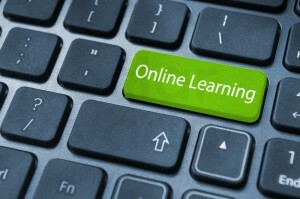 The large catalog of courses at low prices allows nearly anyone to find the training they need. 4Medapproved is the leading educational resource for healthcare professionals on topics relating to Health Information Technology. The company provides access to helpful content, community, curriculum, and consulting, all in one convenient location. 4Medapproved also offers free weekly Learning Lunch Webinars and industry updates through columns from leading experts. It provides self-paced online education, certification, and career gap training programs, many of which provide CME, CEUs, and conversion to college credit. Additionally, 4Medapproved facilitates online networking and collaboration through its 4MedProNetwork.